Perched on the top of a cliff with views over the small port of Baleeira and along the western coastline, this all-white Design Hotel is like a minimalist art gallery, allowing the nature and the scenery to be the star whilst not giving the eye anything to detract from its stunning location. Small spa, great bar and a simplicity that is captivating. Laid-back surf chic. Sagres is most definitely the 'wild west' of the Algarve, and as you leave Lagos behind, you drive into what could almost be another country. It's far more like the Silver Coast just north of Lisbon, and certainly a world away from the Golden Triangle. 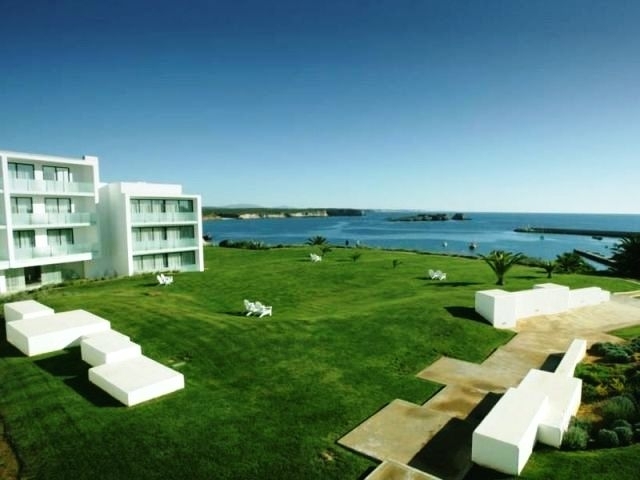 The hotel offers more than a degree of elegance however in an area that is currently in transition between hippy and hip. 105 rooms and 39 suites. The suites have small kitchenettes which offer great opportunities for families. The restaurant is a funky ex-nightclub! The food aims to be as local as possible. I would like to see more fish (a la Rick Stein) but on the basis that the hotel is aiming to be a focal point to promote Sagres and the west coast, they are very good at giving recommendations for top local restaurants, and realise that guests will eat out a lot. Having said that, the food at the hotel is good, and offers a selection of Portuguese specialities. What other facilities does the hotel have? A lovely spa and indoor pool give great benefits in the winter when you would not want to go near the sea without a wet suit on! Lots of outdoor space with a lovely outdoor pool. They also have a surf school, rent bicycles and have wave-watches for fanatical surfers. Anything that clients should know about? The suites are actually one-bedroom apartments and sleep four very well. Winter and spring can be spectacular on this part of the coast - you are five minutes away from Cape St. Vincent and as you turn the corner and travel up the west coast, you can find some of the best beaches in Europe: wild and rugged, with great beach bars that are really reasonable, and on a winter's day you will often have the beach to yourself. Summer changes all that. 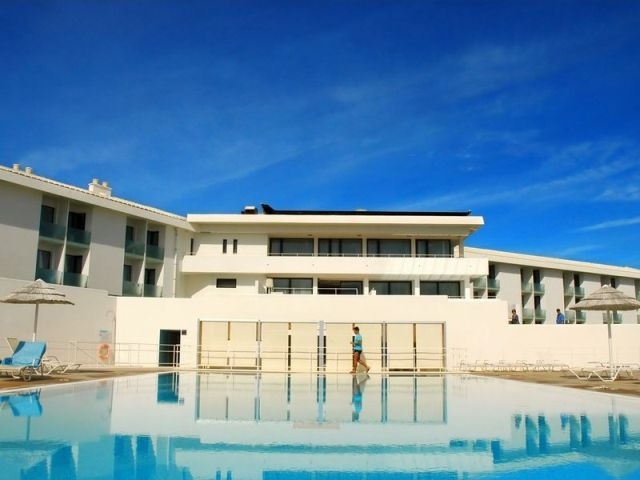 The hotel is very popular with Portuguese clients, and becomes the surfers' hangout for those who do not want to 'slum' it any longer. Ask for a sea view room - you need to make the most of the simplistic design by waking to the sound of the sea and the seagulls, with the sun streaming in through your windows. The GM is ex-Four Seasons, so knows a thing or two about service. He even sends the laundry to Monchique for washing in the natural spring waters to make sure it is extra soft. The renovation of a 1962 hotel into modern 'statement' really works. Having a great hotel in this area will really see an upgrading of the facilities on offer. We love it. Managed by Portuguese hotel group Memmo, who are planning to launch in Lisbon and Porto in the near future. Overlooking Baleeira Port, which you will blink and miss if you are not careful. You seem to go on quite a little journey to find the hotel off the main EN 125, but just keep following the signs and you will either end up at the Pousada or Memmo. They are nearly next door to each other. Contact the Inspirations Algarve Exclusive Travel Club via the enquiry form below for details of special promotions and itineraries.